On 8-9 February, 60 UK students will gather in Sheffield for a charrette-style challenge to design healthy student accommodation predominantly from timber. The TRADA University Challenge brings 60 students from multiple disciplines and universities together at the University of Sheffield’s Diamond Building, separates them into ten teams of six, and then challenges them to design a building predominantly from timber. The 2019 challenge invites students to design exemplary student accommodation, with an emphasis on health and well-being, energy efficiency, and building to budget. This year students will be asked to design to a tight brief, incorporating sponsors’ products while working around real life constraints provided by the existing site chosen for this challenge: an old shopping centre in the heart of Sheffield’s shopping district. As an additional challenge, and to emulate real life experience, students of quantity surveying have been added to each team this year – stressing the importance of building to budget. Each team will include two architects or architectural technologists, two engineers, a landscape architect and a quantity surveyor – creating situations and relationships comparable to project teams – with pioneering design professionals and industry members providing specialist support. Timber is growing more popular amongst developers of student accommodation due to the savings that can be made on time and cost. However, the inherent benefits of timber and its potential role in supporting health and well-being also warrants highlighting; there is a mounting awareness of the mental health crisis students across the UK are currently facing – and when research indicates that the average person spends more than 90% of their time indoors, never has the influence of our environment on our mindset been so important to utilise. Tabitha Binding, TRADA’s University Engagement Manager, shared: ‘Our University Challenge is all about putting multidisciplinary teams, where students have not met prior, up against a strict deadline – and watching them flourish while working together within a practical context. We want to help students gain confidence in how to design, specify, cost and build with timber and timber products’. Confirmed judges include architects Alex Abbey of Cullinan Studio, Waugh Thistleton’s Kieran Walker and dRMM’s Patrick Usborne; engineers Tom Harley-Tuffs of Ramboll, AKT II’s Ricardo Candel, and Arup’s Jaffel Versi; quantity surveyor Oliver Booth of Gardiner & Theobald; and landscape architect Stephanie Crewe of LUC. Adrian Judd, Steico’s Sales and Operations Director, shared: ‘As an industry, we have a duty to convey the versatility and supremacy of timber-based materials to students who will shape the future of the built environment. They have a real stake in challenging construction’s norms so this competition is an ideal test. In return, we hope the students will inspire us with the imaginative ways they incorporate timber-based materials into their designs’. TTF Managing Director David Hopkins said: ‘We often hear that wood is set to be the construction material of the future, but are tomorrow’s architects and engineers really into it? That’s the question Timber Industry stakeholders need to ask themselves when planning future investments and assets. 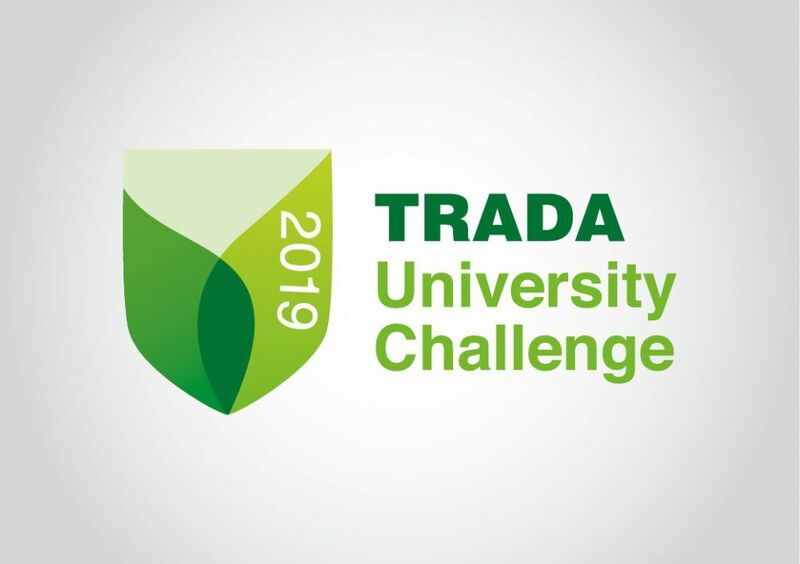 Education and training are vital for the future of our Sector and initiatives such as TRADA’s University Challenge go precisely in this direction, giving students from all over the UK the opportunity to experience first-hand the application of timber in a complex architectural project. The TTF is a proud major sponsor of this competition and we are sure it will help form a new generation of “timber enthusiasts”’. Major sponsors of the initiative includes Timber Trade Federation and Steico, sponsor Stora Enso, and supporters Wood for Good and PEFC UK.